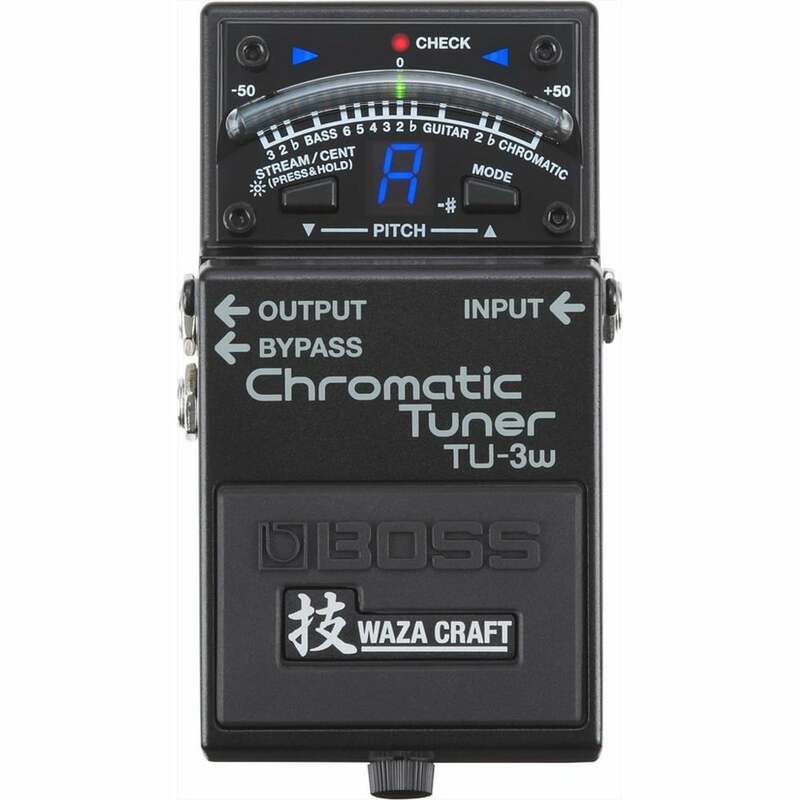 With the TU-3W, BOSS brings Waza Craft mojo to the world's leading stompbox tuner. At its core, the TU-3W provides rock-solid tuning equivalent to the industry-standard TU-3. In true Waza tradition, the pedal's benchmark functionality is further enhanced with BOSS skill and craftsmanship. Pure, uncolored signal transfer is essential for a tuner, and the TU-3W features redesigned circuitry with selectable buffered or true-bypass operation and the most transparent audio pass-through possible. Packing high-end performance for discriminating players, the TU-3W delivers a premium pedal experience only available from BOSS. Since the beginning, the engineers at BOSS have been committed to achieving the finest guitar tones using any technology necessary, from old-school analog circuits to high-tech DSP. Continuing this enthusiastic spirit, we are pleased to introduce the Waza Craft series. In Japan, "Waza" is the term for art and technique, and these special edition pedals proudly carry the Waza symbol to represent the pinnacle of BOSS design and craftsmanship. With final sound approval carried out by BOSS in Japan, the Waza Craft series brings you exceptional tone and touch response through carefully selected analog components, refined circuitry, and meticulous attention to detail.